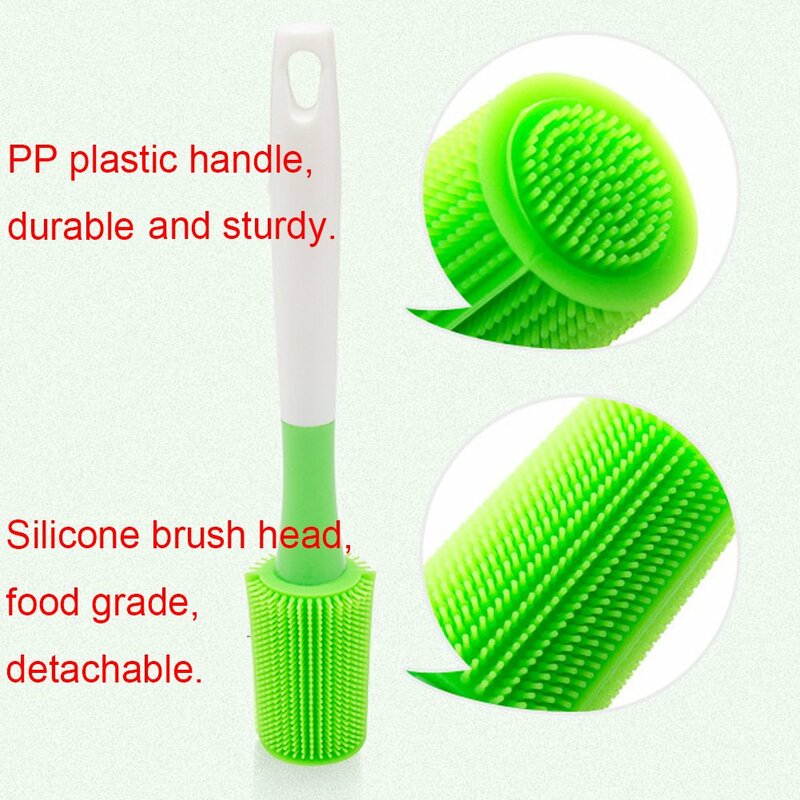 ✪ Good material: Silicone Bottle Brush Made with food grade silicone premium quality Hypo-allergenic and Anti-bacterial, FDA approved, non-toxic, BPA-free. 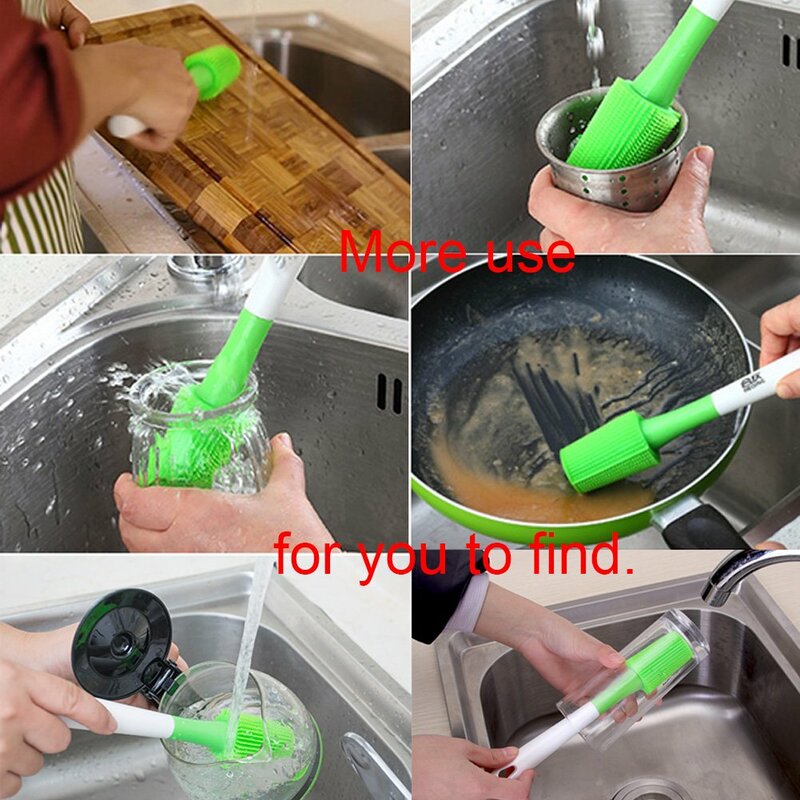 ✪ Well-designed: Cup Cleaning Brush is sturdy with a comfortable grip and soft silicone brush head, Cleaning do not absorb water, are antibacterial, flexible, unbreakable and no deformation. 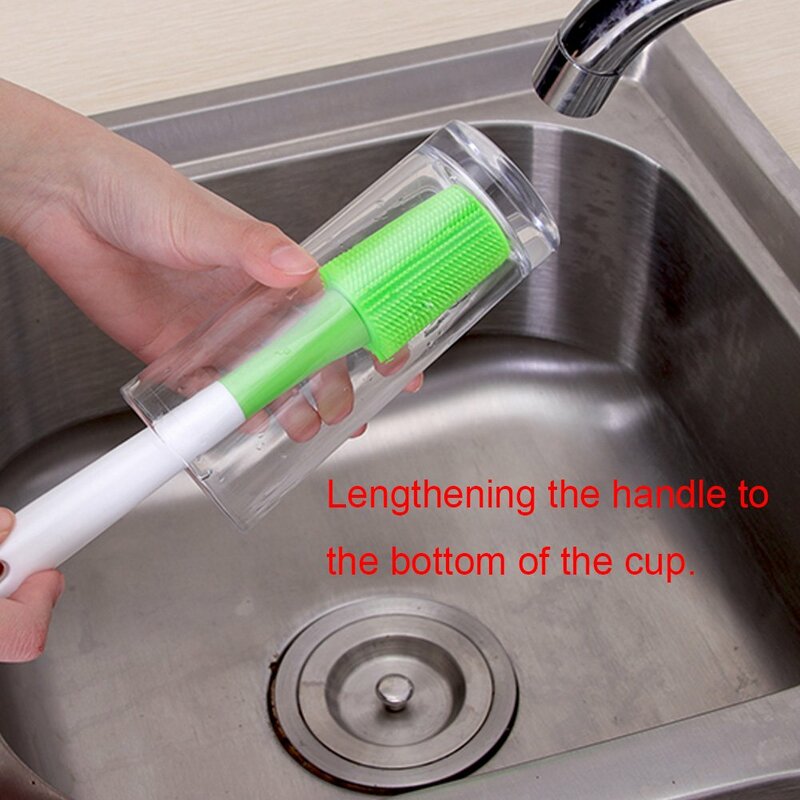 it is kept in excellent condition by not storing water in its silicone bristles, cleaning all your bottles without absorbing grease or other substances. Modern technology. 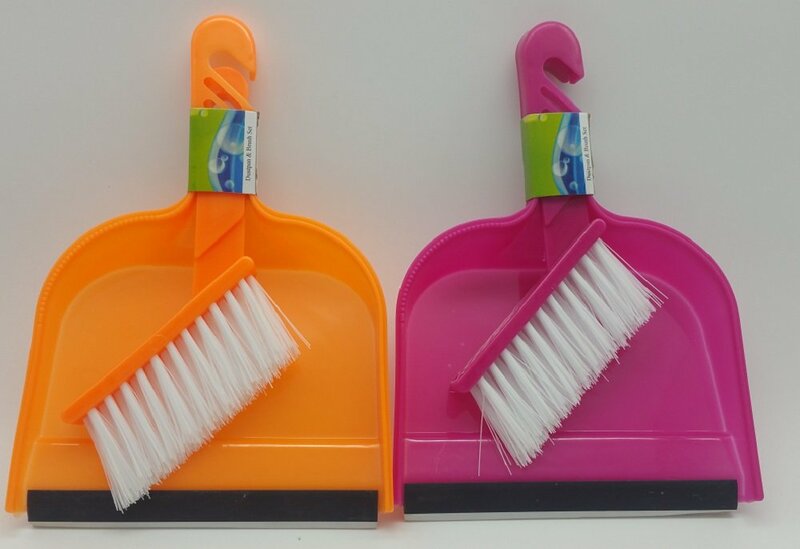 More hygienic, better work and lasts much longer than sponge or plastic brushes! 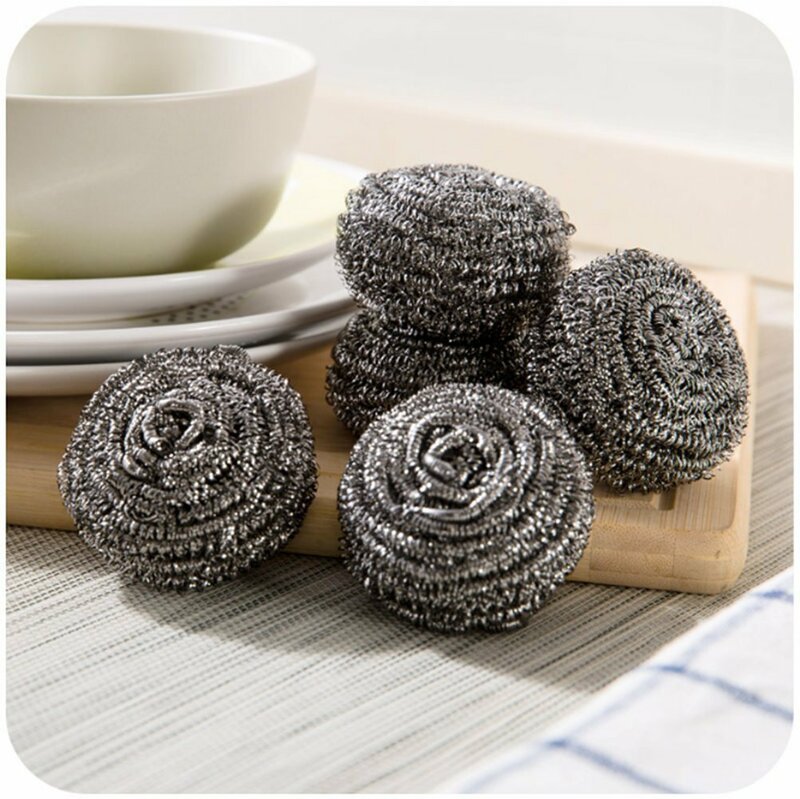 ✪ Multiple use: Silicone Bottle Brush Cleaning is perfect to wash sport water bottles, baby bottles, glasses, insulated tumblers, goblets, pitchers, jars, coffee pots, thermoses, cups. 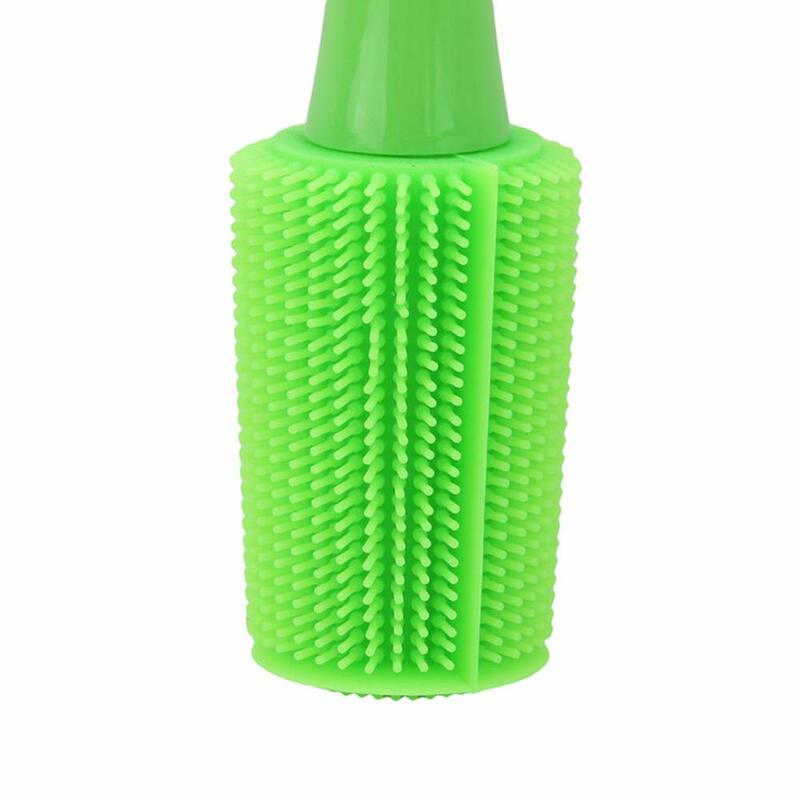 ✪ Long lasting: Our silicone bottle brush do not scratch the bottle and other containers. no water accumulation, no stink, no deformation, no fur drooping, no scrap drooping; Ventilation holes design help brush cleaner dry quickly, no dirt residual, not easy to breed bacteria. 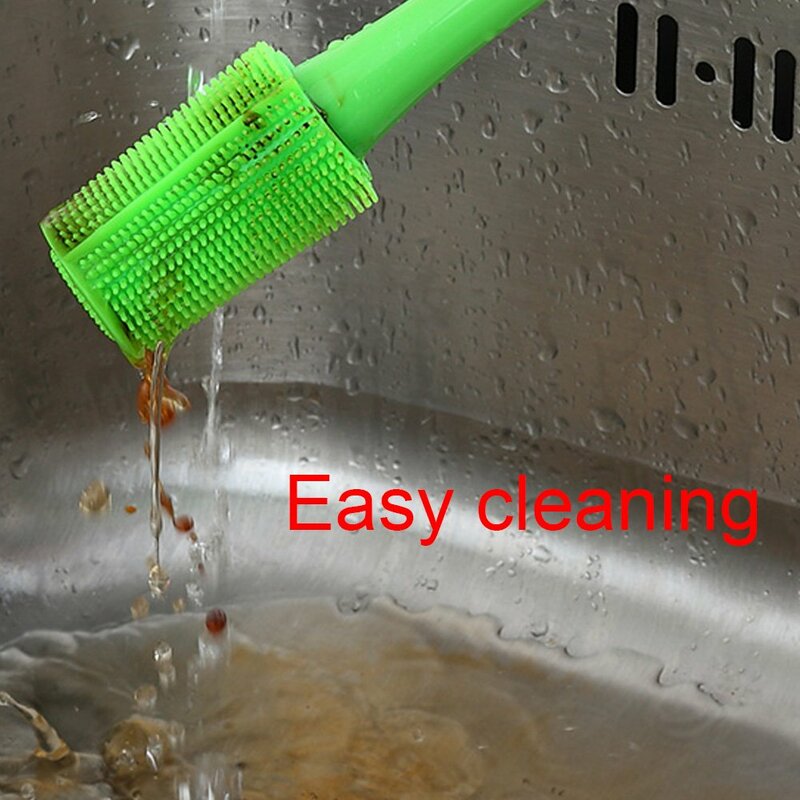 ✪ Easy to clean: Silicone brush itself is esay to clean and simple to sterilize and store. 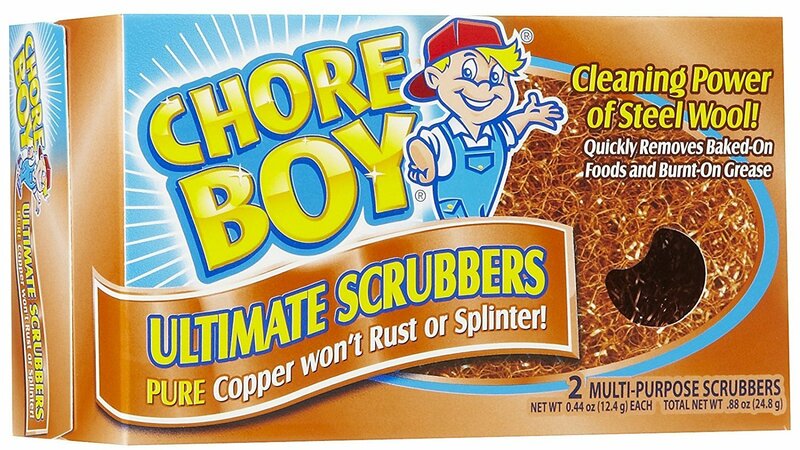 It lasts much longer than plastic, nylon, or sponge brushes. 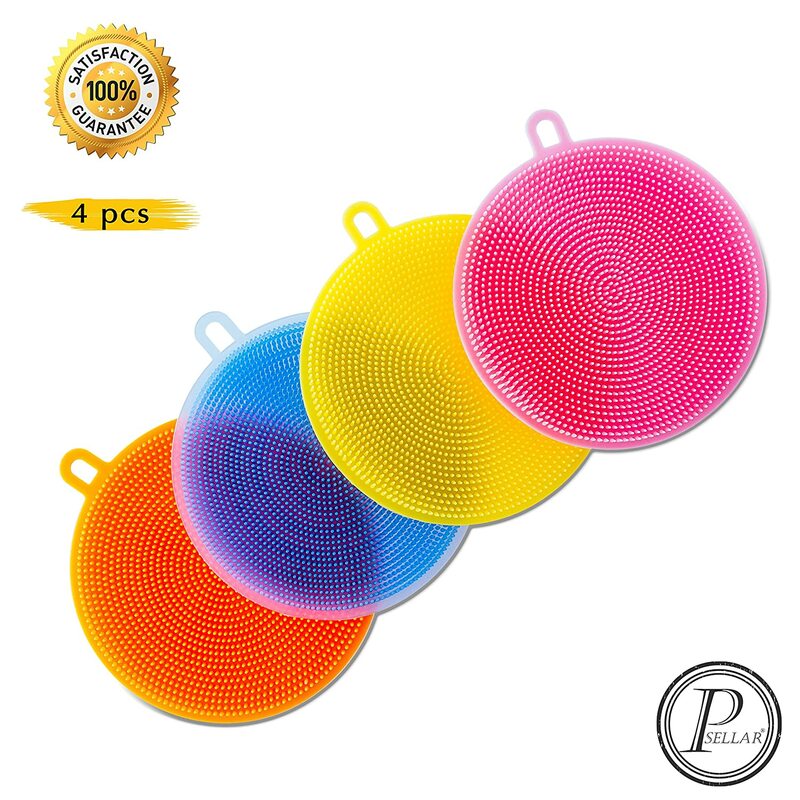 Made with high-quality, FDA approved food-grade silicone material. Dishwasher safe. 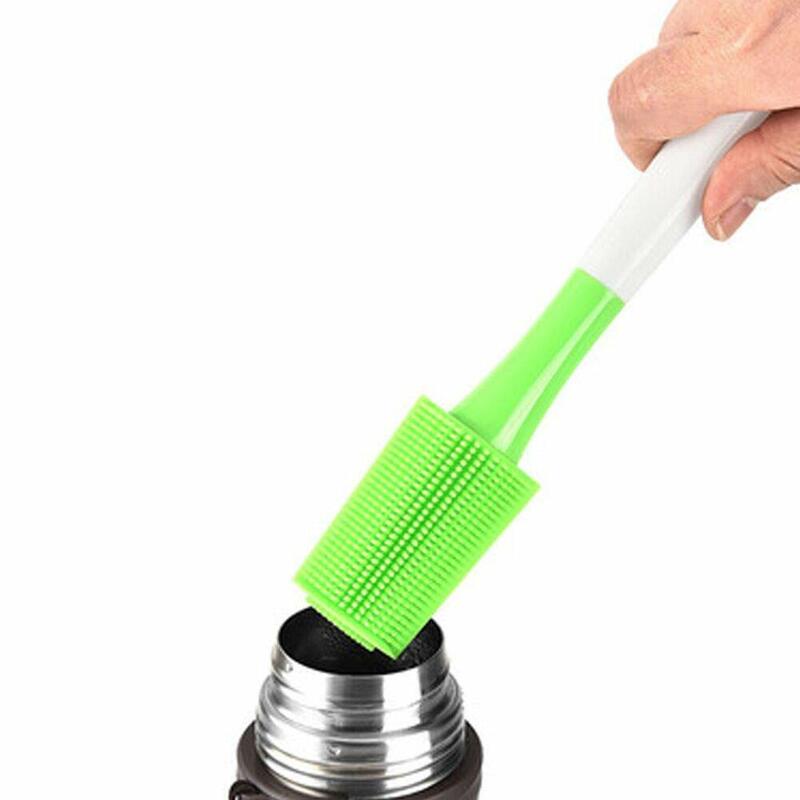 1 This silicone brush is easy to use and it doesn't keep germs and you can clean all the way to the bottom of each water bottle，baby's bottle . 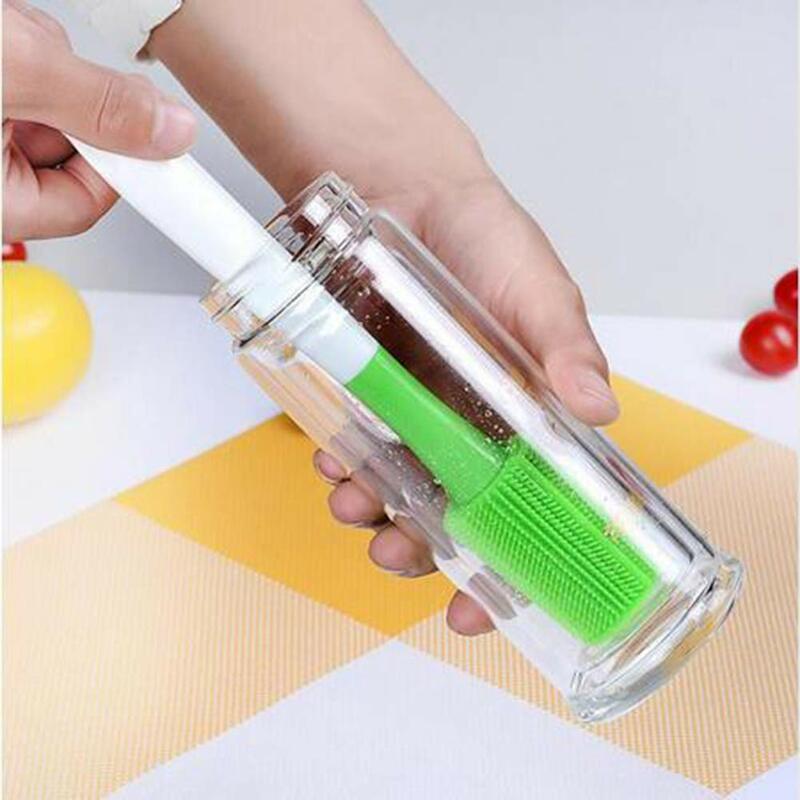 A must-have in your kitchen to clean your bottles. 2 The handle saved a lot of your strength to scrub the tea stain and milk stain at the bottom of the bottles/cups. I used sponge bottle cleaner before but it was too soft to remove the long-time stain. This silicon brush works so well so far. 3 The bristles are hard but at the same time won’t do any damage to the glass. Silicone material is durable and will serve you long before you get tired of it. 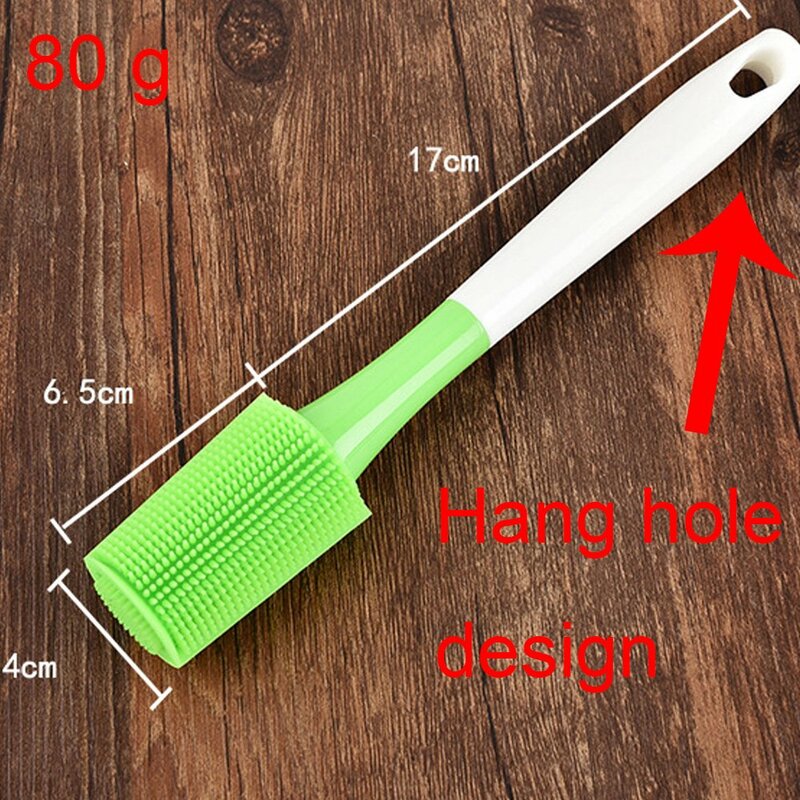 4 There is a hole on the bottom of the handle, it can be hang up on the wall when you have done the washing, it can help to dry it out well between uses and keep from bacteria from other things. 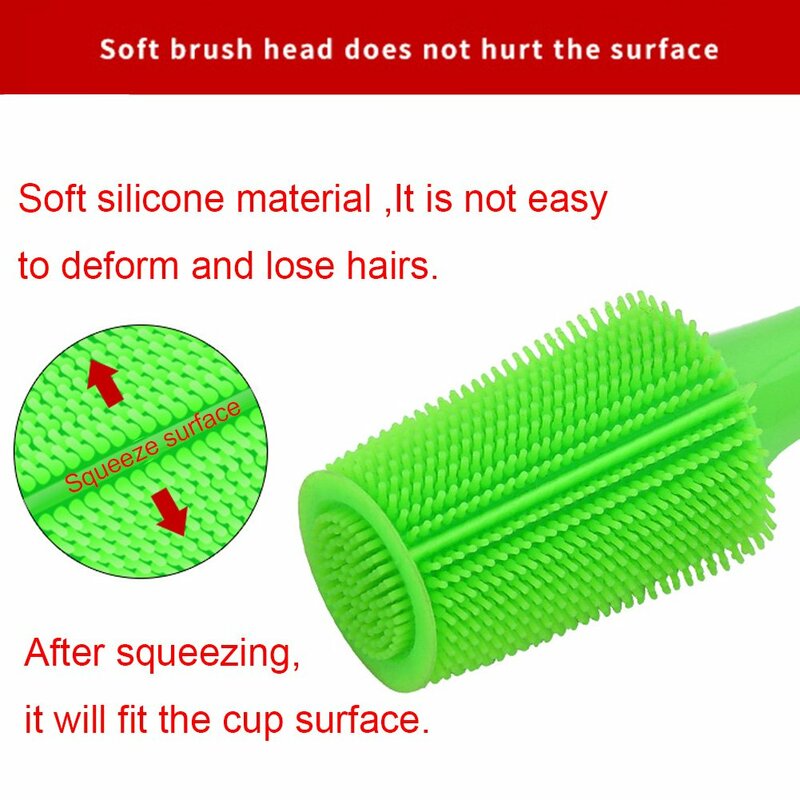 The silicone brush is durable and health than sponge and Nylon brush. 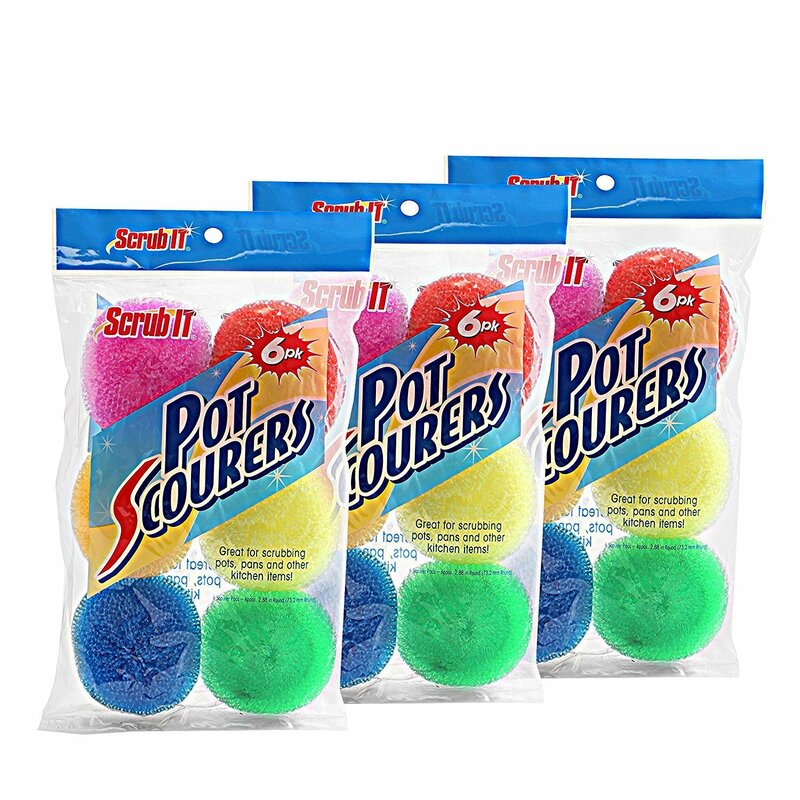 Love this silicone bottle cleaner. The texture cleans thoroughly all the way to the bottom corners of my water bottle. The end also has cleaning nubs. Much better than the old bristle brushes. I am going to buy several more as gifts. These are cute as well as functional. Nice brush but wish the handle was longer!